Will using a baby carrier improve your chance of succeeding with breastfeeding? In this post, Dr Henrik Norholt writes about how using a baby carrier may help mothers to succeed with breastfeeding. 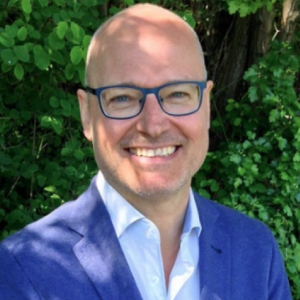 Dr. Henrik Norholt is a member of The World Association of Infant Mental Health, The Marcé Society for Perinatal Mental Health and The Society of Emotion and Attachment Studies. He is an expert in the effects of baby carrying on child psychological and motor development having studied it for the past 15 years. He is a frequent lecturer and thesis supervisor at numerous universities, colleges, association meetings and international conferences. Furthermore, breastfeeding is very rewarding psychologically and enhances personal well-being. The world-renown oxytocin researcher Prof. Kerstin Uvnas Moberg was put on her pioneer track of researching the anti-stress properties of oxytocin by her own personal breastfeeding experiences.2,3 There is a solid hormonal and physiological foundation for some women describing their breastfeeding experience as floating on an oxytocin pink cloud, with an unprecedented feeling of wellbeing. For women with an abuse history, being able to successfully breastfeed can be life-transforming.4 One cannot but be in awe how amazingly clever the female human body is designed: That the most fundamental tasks of life, reproduction and nourishment of our children, are potentially so rewarding, if intelligently and empathically supported by the mother’s family and helpers. With these thoughts in mind, it is obviously a good idea to prepare as best possible. There are quite a few factors, which impact on each individual mother’s chances of success with breastfeeding. Some factors are beyond our control, but the majority can be influenced. Obstetric complications are known to also influence breastfeeding outcomes, so choosing the optimum birth facility or hospital is another way to influence your breastfeeding outcomes. A coalition, consisting of national midwifery, lactation and neonatal/obstetric nursing organizations, has come together to define what they have labeled the “Mother-Friendly Childbirth Initiative”. Similarly to the “Baby-Friendly Hospital Initiative”, ten well-documented steps or measures govern birthing practices in designated hospitals. This initiative is relatively new, so few hospitals have obtained the designation this far, but you can use the ten steps as your checklist when you search for your birth facility and inquire about their birthing practices. In addition, attending mother-to-mother support group meetings is a very good idea, especially in societies where breastfeeding has been lost for generations, since breastfeeding is a learned skill. Mother-to-mother support groups provide anticipatory guidance to help mothers learn what to expect, avoid potential problems, and resolve issues before they become obstacles. Even if you take these precautions, we still see that while some mothers are off to a smooth start with breastfeeding, others have met unforeseen birthing circumstances and not so ideal maternity care, which influence their ability to breastfeed. What can a mother do to increase her chances of success in the face of early adversity? The study supports the many individually reported experiences of improved breastfeeding outcomes from using a baby carrier, even in the face of non-optimum birth and postnatal care. The study was carried out in Southern Italy, and included 200 middle-class mothers. For the mothers involved, regrettably, neither baby-friendly breastfeeding nor mother-friendly childbirth guidelines governed the practice of the hospital. More than 60% of the deliveries were made with cesarean sections. Instead of keeping mother and baby together after birth or cesarean section, they were routinely separated and only re-introduced to one another after 3-6 hours. None of the mothers in the study had access to physical contact with their baby or to initiate breastfeeding within the first hour. The 200 mothers were divided into two groups. Both of the groups had similar socio-economic and birth circumstances backgrounds. They both received information about breastfeeding and management of breastfeeding in the maternity ward. But one group (the “baby carrier group”) also received a baby carrier, designed for newborn use. In this group, each woman received a 30-minute instruction in the use of the carrier and was also encouraged to use it as often as possible, or at least 1 h a day, during the first month after birth. The researchers were particularly interested in measuring the rates of exclusive and of any breastfeeding at two and at five months of age, as well as the frequency of breastfeeding episodes during the first and the second month of life and the use of baby carriers during the first month of life. One of the primary concerns of any researcher testing a new intervention or tool in a controlled study is how well the “intervention group” accepts the tool, and strict tabs are kept on this aspect, as it provides several important pieces of information. One is naturally whether the study participants are willing and able to use the suggested tool. Research also can provide information on why the tool did not work (as well as hoped for by the researchers…) for the participants. Furthermore, you can do a comparison of that subgroup in the intervention group, which did not use your tool as you had hoped for with your control group (who were not even offered the tool in the first place, hence their label as a control group). The researchers found that out of the 100 mothers offered the carrier, 69 used it for more than one hour per day. Conversely, 31 mothers did not use the carrier. The reasons offered for not using the carrier included problems with cesarean section pain, the baby resisting the carrier by crying and the mother feeling uncomfortable with the carrier. While breastfeeding rates were similar in the two groups at the discharge from the maternity ward, breastfeeding was significantly more likely among the mothers in the baby carrier group, both when measured at two months (74% vs 51%), and at five months of age (48% vs 24%). There were also significantly more mothers in the baby carrier group who fed their babies exclusively with breast milk at the two time-points (47% vs 32% and 8% vs 1%, respectively). Among the 31 mothers of the baby carrier group, who did not use a baby carrier, breastfeeding rates were not different from those in the mothers of the control group. When looking at the frequency of daily breastfeeding episodes, The mothers in the baby carrier group were found to be more likely to breastfeed their babies more than seven times during the day: 44% vs 16% during the first month and 28% vs 10% during the second month of life. More than 3 night feeds were also more likely in the mothers of the baby carrier group: 35% vs 10% in the first month and 8% vs 0% in the second month of life. You may ask why the number of daily breastfeeding episodes is of interest to the researchers. One of the reasons is the relatively small stomach volume of newborns, which necessitates frequent feeds. The gradual increases in the baby’s stomach volume matches exactly the gradually longer sleep cycles of the baby in the first two months of life.7 Failing to breastfeed in accordance with the natural physiological sleep and stomach emptying cycles of the baby could impair the child’s development. Feeding on cue from the baby is the current formal recommendation from the lactation profession.8 So please disregard outdates advices to breastfeed by the clock to not spoil the child. There is no scientific evidence for this recommendation.7 In addition, mother’s milk is digested quickly, often within 90 minutes of the last feeding, so rather than watching the clock, a mother should pay attention to baby’s cues, which is much easier if in close contact with the baby (e.g. baby in a carrier). 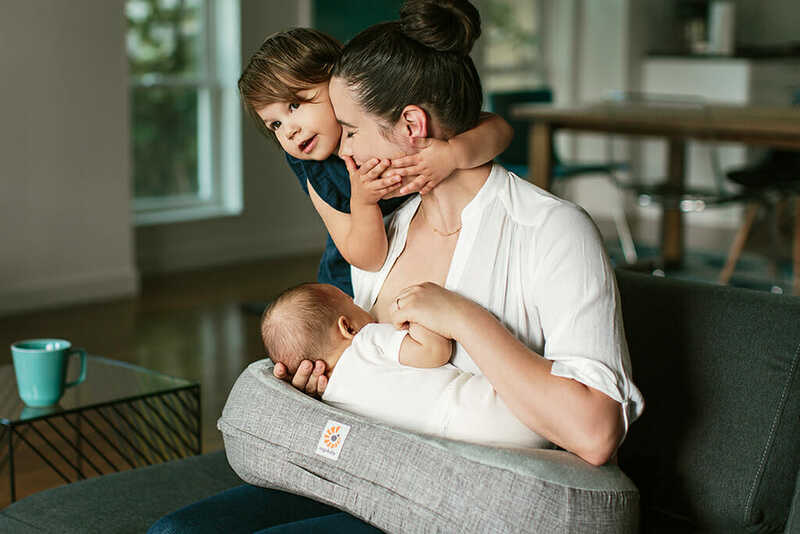 All the mothers, who used their carrier, were willing to recommend it to a friend, so they must have found the practice both pleasant and practical, and it helped them meet their breastfeeding ambitions. It is hence a tragedy in so many ways that almost a third of the women, who were given a carrier, failed to use it. In recent years, a new professional subspecialty of “babycarrying consultancy” has developed. The babycarrying consultants undergo theoretical and practical training of varying lengths, depending on which educational institution they are affiliated with. The principal aim of babycarrying consultants is to support mothers in their efforts to engage in carrying their babies, and they apply their experience and knowledge in helping the parents (ideally also including the father, and other caregivers, family or professional) finding the most suitable carrier(s) (there are now dozens of different options) and also overcoming individual difficulties in using the carrier, such as the ones described by the mothers in the study. 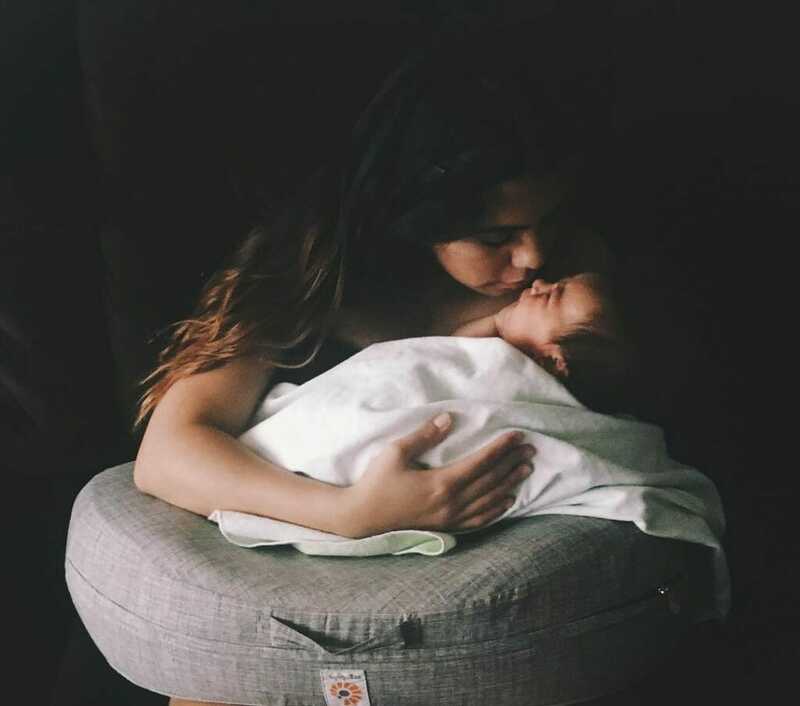 Engaging a babycarrying consultant already prior to birth could be a very worthwhile investment for your breastfeeding journey, and set you and your entire family off to a healthy, joyful and rewarding beginning, which will influence fundamentally your lifelong relations and short- and long-term health outcomes as well. Stuebe A. The risks of not breastfeeding for mothers and infants. Rev Obstet Gynecol. 2009;2(4):222-231. Uvnas-Moberg K. Oxytocin Factor: With a New Foreword: Tapping the Hormone of Calm, Love and Healing. 2nd edition. London: Pinter & Martin Ltd; 2011. Moberg KU. The Hormone of Closeness: The Role of Oxytocin in Relationships. Reprint edition. Pinter & Martin Ltd; 2013. Wood K, Van Esterik P. Infant feeding experiences of women who were sexually abused in childhood. Can Fam Physician Med Fam Can. 2010;56(4):e136-e141. Pike USNL of M 8600 R. THE GLOBAL CRITERIA FOR THE BFHI. World Health Organization; 2009. https://www.ncbi.nlm.nih.gov/books/NBK153487/. Accessed December 13, 2017. Pisacane A, Continisio P, Filosa C, Tagliamonte V, Continisio GI. Use of baby carriers to increase breastfeeding duration among term infants: the effects of an educational intervention in Italy. Acta Paediatr Oslo Nor 1992. 2012;101(10):e434-e438. doi:10.1111/j.1651-2227.2012.02758.x. Bergman NJ. Neonatal stomach volume and physiology suggest feeding at 1-h intervals. Acta Paediatr Oslo Nor 1992. 2013;102(8):773-777. doi:10.1111/apa.12291. LLLI | Cue feeding: Wisdom and science. http://www.llli.org/ba/may99.html. Accessed December 15, 2017. Lauwers J. Counseling the Nursing Mother: a lactation consultant’s guide. 5th edition. Jones & Bartlett Learning; 2011: 491. Babywearing Style : Herringbone is here!